You count on your vehicle to get you from point A to point B. That’s why it’s important to invest in regular maintenance, from oil changes and tire rotations to everything in between. What many Boulder residents struggle with, though, is finding a dependable mechanic. Does it really matter whether you take your vehicle to a dealership or the local auto shop down the road? In short, the answer is ‘yes.’ No driver wants to be stranded because their mechanic failed to address an issue with their car or truck during a recent service appointment. Here at The Shop Automotive, we thought it would be good to create an all-encompassing resource for finding reliable car care. Let’s start with locating the best automotive maintenance team in your area. Do some research of your own - There are countless auto service centers in Boulder. But not all of them perform quality work, let alone at a fair price. So take some time to search online for highly rated, full-service mechanics. Ask others for recommendations - Once you have a sizable list of possibilities, ask friends, family members, neighbors, and coworkers if they have recommendations. See if any places they mention are on your initial list as well. Pro tip: Be open to locally owned and operated shops as opposed to limiting your options to franchises. Check out car care companies advertised in the media - We’re willing to bet you hear advertisements for auto repair shops on the radio while driving to work. If they’re willing to showcase their knowledge this way, they’re probably at least worth an initial phone call. The company might even offer a discount if you mention the advertisement. 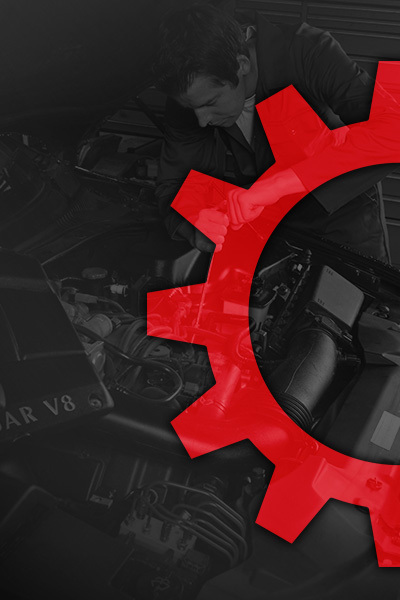 Find reviews, complaints, and accreditations - A mechanic can rave all he wants about his expertise and integrity. However, negative reviews might tell a completely different story. So check out the Better Business Bureau for any reviews, complaints, and accreditations. Look for ASE-certified technicians - You don’t want just anyone working on your vehicle. In order to receive ASE certification, a technician must complete two years of on-the-job training plus successfully passing the test. Especially in the automotive industry, certification and licensing are what separate average mechanics from the best. See who local ground transportation companies use - Let’s think about bus, taxi, and rental car companies for a moment. Surely their vehicles require maintenance too, right? If you aren’t having much luck with the aforementioned tips, then consider calling their head office and asking where they take their vehicles for repair work. Figure out which shops have been in business the longest - We’re going to emphasize the importance of experience and longevity throughout this resource. The longer an auto maintenance shop has been in business, the better. If you come across one that first opened decades ago, chances are they’re doing a lot of things right. Take your vehicle in for a minor service - By now, maybe you’ve whittled down your list of candidates. Before deciding on one for the foreseeable future, try out each shop with a smaller job such as an oil change or tire rotation. If you have a negative experience with any of them, turn to the next mechanic on your list. Consult your auto insurer - Here’s one you probably never considered. Whether you’re stuck in the search process or you just want some additional recommendations, reach out to your auto insurance provider. Not only will they likely point you to a reliable mechanic, but there could be an added benefit to using them. Look into community involvement - Far too many auto service centers skate by doing the bare minimum. Their sole focus is on making money and that’s about it. Before making your final decision, take note of which mechanics participate in or support local events. Community involvement shows that an auto shop is committed for the long haul. Neglecting preventative maintenance - The engine is the heartbeat of your vehicle. If you choose to ignore that annoying “Check Engine” light, you could be looking at thousands of dollars in repairs. So make it a point to stay current with oil changes, as well as additional repairs with timing belts and engine tune-ups. Putting off tire repairs/replacement - Did you know that driving on underinflated tires can cost you more on gas, increase tire wear, and even lead to significant damage from potholes and other road hazards? Regular maintenance extends the life of your tires and, more importantly, keeps you and your family safe on the road. Driving on bald tires in a busy city such as Boulder is a recipe for disaster. Ignoring warning lights - Speaking of “Check Engine” dashboard notifications, these warning lights should be treated as red flags. From temperatures lights to brake lights, there are specific follow-up actions required for each. Our advice here is to pay attention to all your vehicle’s issues, including warning lights. Trying to fix every repair yourself - More drivers today are going online for assistance with vehicle repairs. A quick search pulls up results on how to replace wiper blades, light bulbs, and air filters. While you can certainly save time and money doing these “easy” repairs yourself, remember to leave the more extensive maintenance to the professionals. Taking your car or truck to just any auto service center - We touched on this earlier but it’s worth mentioning again. Not every mechanic does the same quality of work or even offer the same services for that matter. So do some independent research of your own and avoid leaving your vehicle with some shady technician who cares more about taking your money than actually getting you back on the road. At The Shop Automotive, we never rely on “guesstimating” or other old-school car care tactics. Our technicians always have the most innovative computer diagnostic technology at their fingertips. This allows us to identify the issue with your vehicle and come up with a long-term fix. There’s no need to settle for “band-aid” approaches when it comes to car repairs. At The Shop Automotive, we’ve seen just about every issue imaginable with vehicles. Reach out to us today to ask about auto diagnostics. We already went into detail about oil changes and how important they are to the well-being of your vehicle. Manufacturers recommend that you change your car or truck’s oil every three months and/or every 3,000 miles. Staying current with oil changes ensures optimal performance. Engine auto maintenance encompasses more than oil changes, though. At The Shop Automotive, we are proud to offer additional services such as intake manifold gaskets, crankshaft seals, cylinder head replacement, rear main seals, and more. Keep your engine happy and healthy and schedule an appointment with us today. Think back to the last time your vehicle felt a little jerky when changing gears. It’s not exactly a fun feeling, is it? Here’s the deal: Should you fail to address transmission issues in a timely fashion, you could wind up stalled at the worst possible time and place. There’s no downplaying the importance of your car’s transmission at The Shop Automotive. Leaking transmission fluids, damaged gasket seals, jammed/faulty clutch, and low transmission fluid could all spell disaster down the road (literally). Get in touch with our transmission repair team ASAP if you are experiencing any of these issues. Colorado experiences drastic temperature changes on a regular basis. Whether it’s winter and you need to stay warm or it’s summer and you need to keep cool, functional vehicle climate control is a must. Our technicians specialize in heater control valve replacement, general auto AC repair, and more. At The Shop Automotive, we believe you should be comfortable in your own vehicle. Say goodbye to the days of system leaks, compressor failures, and heater core challenges. Swing by The Shop today for all your auto AC & heating repair needs. Is your car pulling to one side or another? Do you feel a noticeable shakiness or exaggerated bumps even when you’re driving on the highway? On the other hand, have you had a difficult time steering your vehicle of late? If you answered ‘yes’ to any of these questions, you could be overdue for a suspension check or repair. The technicians at The Shop Automotive want to help you feel safer and more secure on the road. See how we can go about fixing damaged shocks and struts, low power steering fluid, failing springs, and/or worn shock absorbers. No driver wants to risk operating a vehicle with faulty brakes. So how do you know it’s time for brake repair? Well, if you have to push down really hard on your brake pedal or you’re hearing a grinding noise when you apply the brakes, you probably shouldn’t wait any longer. Our technicians are Boulder’s brake experts. We are all well-versed and properly equipped to repair ABS systems, leaky brake fluid, and brake rotor replacement. Don’t put the safety of yourself and other commuters at risk because of unreliable brakes. Stop by The Shop Automotive for more information. You want to feel in control of your vehicle while driving. So what happens when your steering ability becomes compromised? Well, as you might have guessed, problems can arise. At The Shop Automotive, we can inspect, diagnose, and repair your specific steering problem. Our technicians will look at the usual problem spots, including control arms, lateral links, ball joints, and rods. Get in touch with our auto service center today regarding steering repair. Are you in the market for a new or used vehicle? Rather than risk getting stuck with a lemon, protect yourself with a pre-purchase inspection from The Shop Automotive. Our technicians can place your vehicle on our lift and check for evidence of existing or potential problems before you sign on the dotted line. At The Shop Automotive, we always have the customer’s best interest in mind. There’s no question that opting for a pre-purchase inspection is the smart, sensible thing to do. Stop by our auto repair facility and begin the process. As you can see, The Shop Automotive truly is Boulder’s one-stop auto shop. Our technicians specialize in all makes, including Volkswagen, Subaru, Honda, Toyota, GM, and Ford. We pride ourselves on performing quality, local care without breaking the bank. The Shop Automotive is setting the new standard for vehicle maintenance, whether you’re in need of a simple tuneup or extensive repairs. Don’t settle for another frustrating, costly service appointment at the dealership. Instead, check out The Shop Automotive and let us earn your business. What are you waiting for? 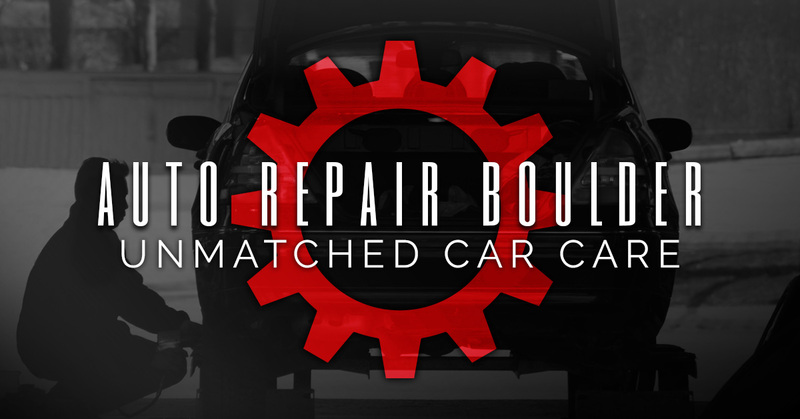 Contact Boulder’s Top Rated Local® auto shop today.